Open Days is committed to celebrating the rich diversity in American gardens. Open Days provides a multi-generational experience—something that families can enjoy together. 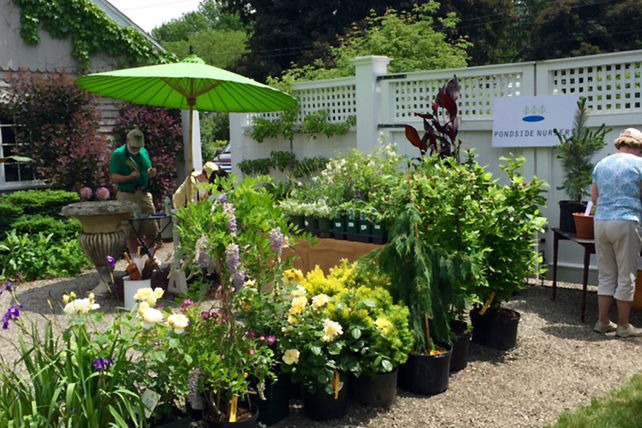 We continue to invite some of our Garden Hosts' favorites nurseries to set up shop at select Open Days! 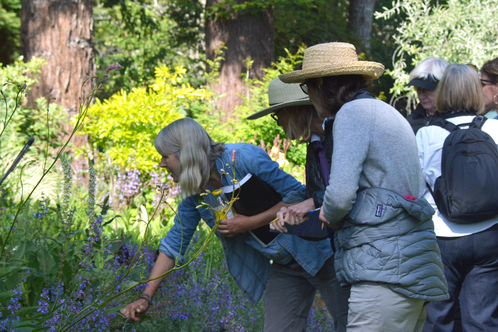 Digging Deeper programs take a closer look at the garden world with experts in the field. We partner with like-minded nonprofits and public gardens to bring Open Days to their communities. Welcome to the 2019 season—our 25th year of Open Days! 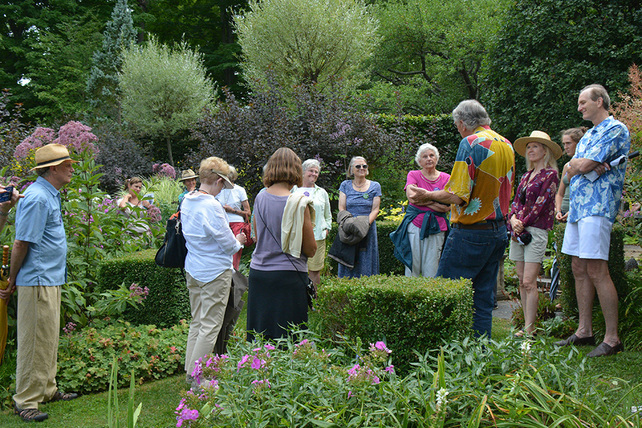 See our complete schedule of garden tours and additional special programs here! Fueling America’s passion for gardens, Open Days is a nationwide community of gardeners and garden enthusiasts teaching and inspiring each other. From expert to novice, we think there is no better way to improve as a gardener than by experiencing a diverse range of gardens firsthand. 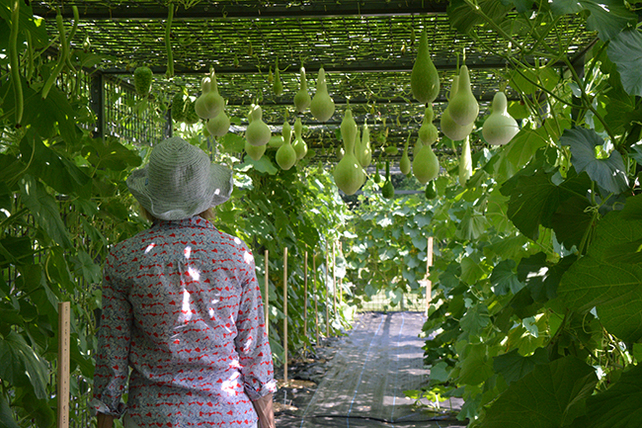 Open Days provides opportunities to visit the county’s most exciting, creative, and innovative private gardens. It has become our best-known and most beloved program. Since 1995, Open Days has welcomed more than one million visitors into thousands of inspired private landscapes—from urban rooftops to organic farms, historic estates to innovative suburban lots—in 41 states. 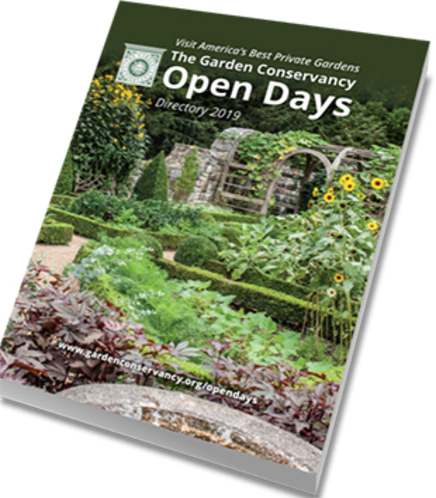 Open Days is made possible thanks to the hard work and generous support of hundreds of volunteers who help us to showcase regional horticultural and stylistic expressions in a national context, celebrating the rich diversity of American gardens. Many Open Days hosts supplement the guest experience with guided tours and additional activities such as book-signings, plant sales, or demonstrations. These Garden Extras are free with garden admission. Inspired by the rich informal conversations that typify Open Days, special site-specific programs were added to enhance the Open Days roster in 2015 and quickly became popular. In these Digging Deeper events, small groups of visitors come together for informative yet informal talks and demonstrations with experts from every facet of the garden world: landscape architects, garden writers, plant collectors, artists, and more. Digging Deeper programs are a fantastic opportunity to explore the myriad connections between gardening and other creative pastimes. Advance registration and pre-purchase is required. Hurry! Space is limited and they fill up quickly! New in 2019, we are very pleased to introduce the Garden Masters Series— connoisseur-level educational and social opportunities at exclusive gardens not otherwise available through Open Days. These events provide a chance for deep learning, inspiration, and a unique experience with like-minded friends and fellow serious garden enthusiasts. See the Special Programs page for details on all of these opportunities. The Garden Conservancy's second annual National Speaker Series will bring together a fantastic lineup of designers, preservationists, and other practitioners who are leading the conversation about the connection between gardens and cultural organizations. The speaker series kicks off in spring with an especially exciting headline speaker, British landscape designer Jinny Blom, author of The Thoughtful Gardener: An Intelligent Approach to Garden Design (Jacqui Small, 2017), speaking in four cities. Click here for preliminary details on our 2019 speaker series. Register for special email updates and reminders about Open Days in your area. We will send you announcements about our season. You will also receive a Save the Date email three weeks before Open Days in your area and another one the week of the tour. For Frequently Asked Questions about Open Days, click here. Follow our popular Facebook page for beautiful photography, garden news, and last minute updates. Open Days is 99% Volunteer Driven! We have a small staff in New York and we work hard to create the best garden-visiting program in America, but we can't do it alone. We have hundreds of volunteers around the country who make it possible. We hope you will consider joining them. Become a Regional Ambassador—Our regional ambassadors work directly with us to nominate and select gardens, schedule events, promote Open Days locally, and interact with gardeners and visitors in their area. Share Your Garden—Open Days gardens include everything from the inspirational work of weekend hobbyists and passionate beginners to professional designers. Enjoy the energy of interacting with fellow garden lovers who will be inspired by your garden. 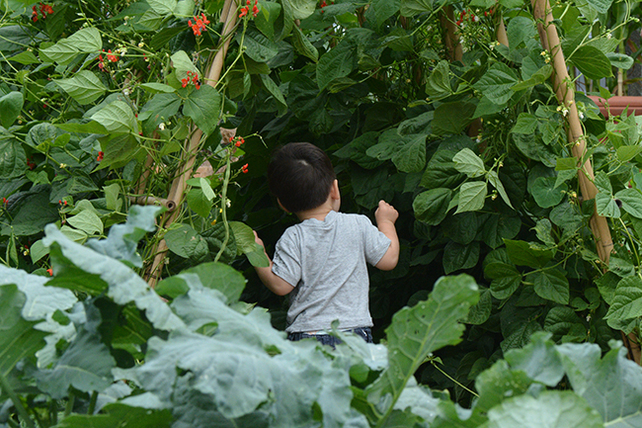 Greet Visitors—Share your knowledge of the local area and spend time meeting new garden lovers. Work individually or volunteer with a friend for an enjoyable day in the garden that requires no pre-planning or garden work. To learn more about how you can get involved with Garden Conservancy Open Days, click here. Of course, you can always call or email us to talk about gardens in your area. Here is that information: toll-free information line 1.888.842.2442. At the moment we only answer this line Monday through Thursday, 9 a.m. to 5 p.m., EST. We respond to emails after hours at: opendays@gardenconservancy.org. Dig Us? Then Join Us! If you are passionate about gardens and the vital role they play in our lives, we invite you to join us—by becoming a member today!